Baccarat Churchill Natural brings you sweet, creamy, and woody flavor with a smooth, mellow body in a traditional 7 x 48 Churchill vitola. Save even more on Baccarat Churchill Natural with this special 2-Box Deal! Sweet outer wrapper makes this a pleasurable smoke. Mild and sweet. Nice consistent draw. The appearance of this cigar is always very good, and is constructed well. The flavor leaves a little to be desired, as it is not a very complex cigar. The burn is generally good, and the draw is very good; not too tight as most cigars are these days. I would give it 4 out of 5 stars overall. Smooth and mild with sweet outer wrapper. Nice draw and great smoke. Baccarat Churchill Naturals are a smooth and mild cigar. Whether I am fishing or sipping a bit of bourbon on the patio with friends. I have been savoring a Baccarat Churchill either while fishing or in the evening with a glass of bourbon. Never disappoints! For the price, this cigar can't be beat. The sweet tip gives it flavor till the end. 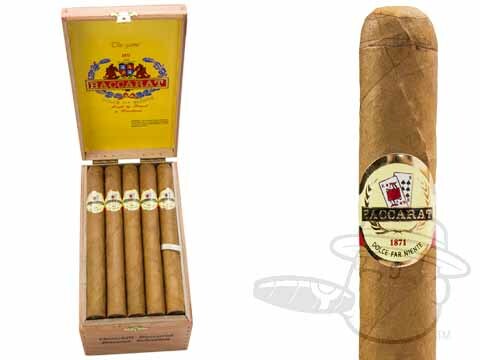 If you want a mild smooth cigar with a good burn, Baccarat is the cigar for you. Have enjoyed these cigars for over 15 years! The last inch or so does have a bit of a bite. Mild taste. Sweet outer wrapper. Great draw. Burns even. Great size. Always enjoy all of the Baccarat Natural line. These are mild, reasonably priced cigars. I smoke them while playing golf. 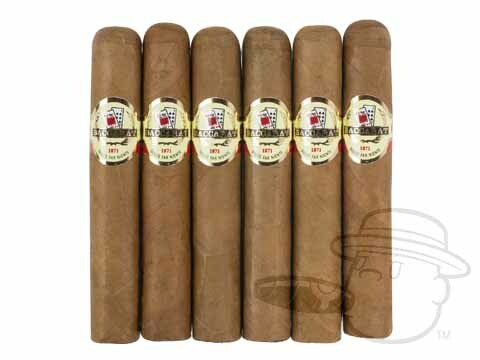 Baccarat Churchill cigars are a mild to medium smoke that comes in a box of 25. They burn evenly and Best Cigar Prices always delivers fresh cigars! This is my everyday cigar ! Never fails me in taste, draw, or longevity ! Highly reccomend Baccarats ! I've smoked cigars for decades, many brands, types and prices. For a few years now, the Baccarat Churchill has been my cigar of choice. I've not found any other cigar at any price which I enjoy more. Great smoke. Burns evenly. Great all around smoke with a cocktail or on the golf course. My everyday smoke and great value. Good value for the money, sometimes burns a little too fast. Great mellow tasting cigar with a sweet tip that you can actually taste. The sweetness of the tip and the tobacco they use goes hand in hand.....FYI try this cigar with a chalice of nice bourbon. (myself I drink Jim beam it goes great). I have been smoking Baccarat for a while and always find them to be of a consistent quality. Always draw well. My favorite long term smoke. Draws easily with a nice mild flavor. Good mild long lasting smoke. For the money a nice mild flavorful Cigar. Baccarat Churchill Natural is rated 4.1 out of 5 based on 46 customer ratings. The Jamastran Connecticut wrapper on the Baccarat Churchill Natural is a Connecticut-seed wrapper grown in the Jamastran Valley of Honduras.